HNC Living Foundation is the brainchild of founders, Tom and Teresa Walsh. In May 2013, Teresa was diagnosed with squamous cell carcinoma in her jawbone and underwent treatment at The University of Kansas Cancer Center. Throughout her treatment and recovery, Teresa and Tom experienced the impact of head and neck cancer, not just physically, but emotionally and financially. 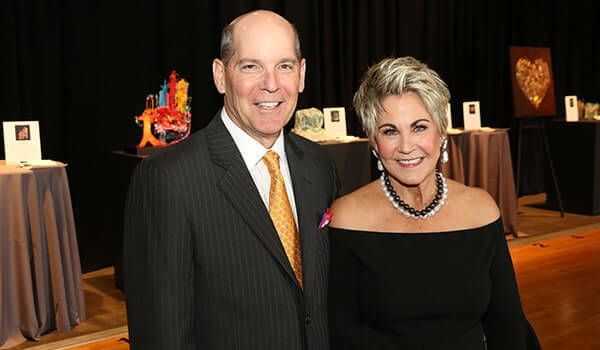 The Walshes recognized the real need in the Kansas City area, and across the country, to help head and neck cancer patients who may struggle with significant financial needs. 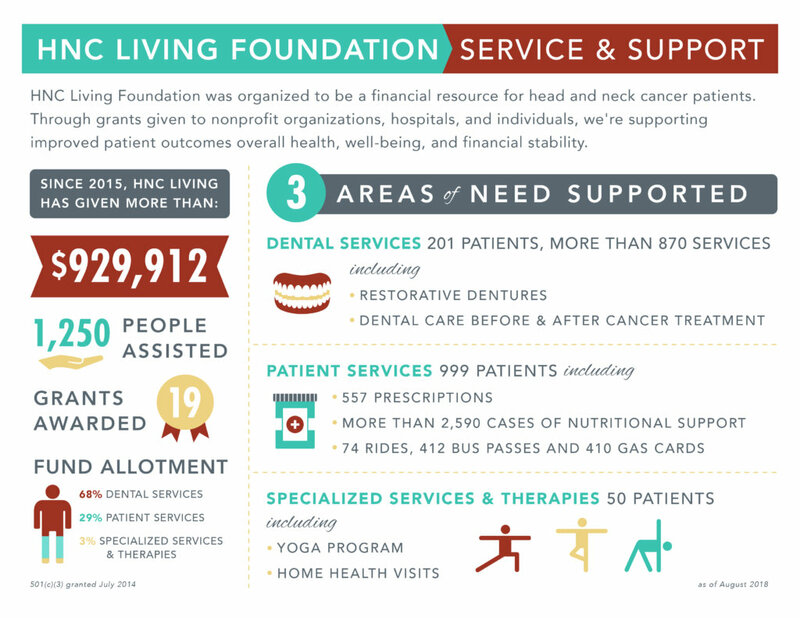 In December 2013, they formed HNC Living Foundation to provide financial assistance for head and neck cancer patients to improve their treatment, recovery and quality of life. In July 2014, HNC Living’s 501(c)(3) application for nonprofit exempt status was approved and the Walshes hired the organization’s first executive director, Chris Uithoven, in June. Since September 2015, HNC Living has awarded nearly $1 million dollars and has helped more than 1,500 head and neck cancer patients. HNC Living Foundation is a personal and passionate commitment for Teresa and Tom Walsh. In May 2013, Teresa was diagnosed with squamous cell carcinoma in her jaw. The cancer initially manifested itself as a cyst on her gum and advanced into her jawbone. Dr. Terry Tsue, M.D., F.A.C.S. and Physician-In-Chief at The University of Kansas Cancer Center, and a team of exceptional doctors and care providers performed a fibula free flap procedure on Teresa, essentially removing her jawbone and rebuilding her jaw with a titanium plate and transplanted bone and tissue from her leg. Throughout her journey of doctors’ appointments, specialists, therapy sessions, radiation, etc., Teresa became acutely aware of the challenges and problems associated specifically with head and neck cancer. Her firsthand experience with the treatment of this cancer and witnessing the difficulties experienced by other head and neck cancer patients inspired Teresa and Tom to form HNC Living Foundation. They recognized that there are far too many head and neck cancer patients across the country for whom the financial challenges are just as burdensome as the medical challenges. HNC Living Foundation’s primary mission is to help head and neck cancer patients live life fully during and after treatment by providing financial aid. Teresa continues to heal and recover to a nearly pre-cancer lifestyle and attributes her recovery to the expert care from The University of Kansas Cancer Center and other traditional and non-traditional treatments. It is Teresa’s and Tom’s wish, through HNC Living Foundation, to help others get the support they need for their healing and recovery. HNC Living Foundation is an independent 501(c)(3) nonprofit organization dedicated to helping head and neck cancer patients live life fully during and after treatment by providing financial aid. Our grants fund services and programs that directly benefit head and neck cancer patients, supporting their treatment and recovery.